Established on 11th Falgun, 2065 BS at Butwal city of Nepal, Shine Development Bank stands as an invaluable idea of sixty six promoters that consists of renowned personalities representing diverse sectors of the society. The bank has obtained the license of a ‘B’ class financial institution by Nepal Rastra Bank under the Bank and Financial Institutions Act 2063 and is registered under the Company Act. The bank is integrated with infrastructure, skills and resources that are at par with the best in the world. The bank has become successful to present itself as one of the promising financial institutions not only of the region but also of the entire nation as a whole with the sound policy and insight of its management committee, the accountability and ideology of the chief executive officer and its hard working team working dedicatedly for the success of the bank. 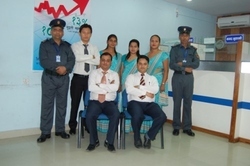 Rupandehi, Arghakhanchi and Nawalparasi are the target districts of the bank where it aims to facilitate the people with the banking facilities and assist them in boosting up their economic status as well and the bank has already achieved a milestone and has proven its worth within a very short interval of time. The bank was established with authorized capital of NRS 234 million, issued capital of 234 million and paid up capital of 234 million. The bank, in order to meet its objectives and the expectations of its valued clients and customers, offers various products and services. Some of the products offered by the bank are Hire Purchase Loan, Business Loan, Real Estate and Housing Loan, Industrial Loan, Agricultural Loan, Educational Loan, Foreign Employment Loan, Overdraft Loan, Personal Loan, Deprived Sector Loan and other loans under its loan schemes to meet the financial requirement of institution as well as individuals and Surplus Saving, Special Saving, Senior Citizen Saving, Professional Saving, Shine Saving, Shine Super Saving, Student Saving, Shine Child Future Saving, Grihini Saving, Sampanna Saving, Shareholder Saving, Share Saving Deposit, Shine Professional Saving, Call Deposit and Fixed Deposits under its saving and deposit schemes. It also offers other services such as Remittance, Any Brach Banking Services (ABBS), ATMs, SMS Banking and Internet Banking services.